I am taking part in National Geographic's Genographic Project 2.0. I had taken part in the first project, as I a couple of years ago. 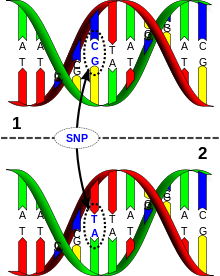 Genographic 1 was about analysing the DNA patterns reflecting the origin of our ultimate paternal or maternal ancestors: our father's father's father's father's side or our mother's mother's mother's side. That means just two walks through someone's ancestry graph. For me results went like this: European from the paternal side (but ultimately from a clear Middle East origin) and sub-Saharan from the maternal one. I am sure I have native American blood as well, which is something I can see when I look at some of my relatives...just like so many millions of Venezuelans. Since I got the first results I managed to carry out some additional tests and used historical records together with some population registries to find out more about my ancestors. It turned out, by some fortune, that I could discover a little bit more about my ancestors than I had expected. By combining genetic and historical records I know now some of my European ancestors came in the XVI century to Venezuela...rather early. And they were not from the Amos del Valle lot. From the sub-Saharan background I know little, though. I hope that changes in the future. Genographic 2.0 will present a much detailed analysis of the Y chromosome and mitochondrial DNA profiles, but on top of that it will present an analysis of quite some autosomal markers, which are the ones that result from the mixing that occurs at conception time. Here you have more information on the test.